This week, we are going to talk about investments. Two of the most common types of investments are stocks and bonds. Today, we’ll take a closer look at stocks, including what they are and how they can affect your investment portfolio. According to Investopedia, a stock is a type of security that signifies ownership in a corporation and represents a claim on part of the corporation’s assets and earnings. There are two main types of stocks: common & preferred. A common stock means that the person who owns it is entitled to participate in shareholder’s meeting votes and receive dividends. 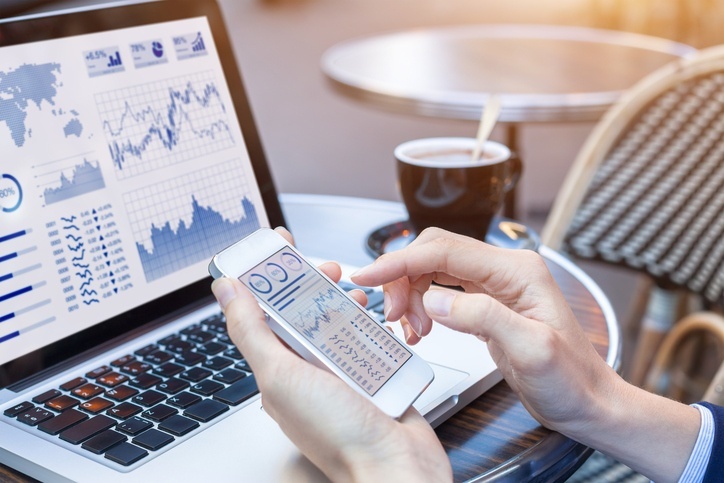 A preferred stock means the owner isn’t able to vote at the shareholder’s meeting, but they often receive a higher claim on earnings and receive dividends before common stockholders. They are also a higher priority if the company claims bankruptcy. Stocks are often times the groundwork of many people’s financial portfolios. This is because they are readily accessible and there’s a vast array of options. They also have some of the highest rates for a potential return compared to other investment opportunities. How much a stock is worth depends on a number of factor including announcements made by the company, changes by the company, announcements & changes from others in the industry, etc. It can also be affected by the news that is happening around the world. HOW DO THEY AFFECT MY PORTFOLIO? The dividends you receive depend on the earnings and strategies of the firm. While some stocks will pay you dividends, other companies take the earnings and invest them back into the company. If you decide to invest in stocks, it's may be a good idea to select shares from various corporations and industries so you're not putting all of your eggs in one basket. For example, if a company or industry takes a down turn, having your stocks diversified across different corps and industries may help protect your portfolio from potential losses. It is also important to remember that by choosing to purchase stocks, if a company goes out of business, you have the potential to lose your entire investment.